Holiday Inn Express Downtown Convention Center is your gateway to the city's top entertainment, sporting venues and conventions. We are conveniently located near House of Blues, Warehouse Live, Toyota Center, Minute Maid Park, BBVA Compass Stadium and Discovery Green Park with easy access to Houston's major interstates such as I-10 and 59. Most city wide events are hosted at the George R Brown Convention Center which is located conveniently just two blocks away from our hotel. While great for Leisure we also suit our business travelers. We are within minutes from Exxon Mobil, Chevron, KBR, Deloitte, Accenture and St. Joseph Hospital just to name a few. 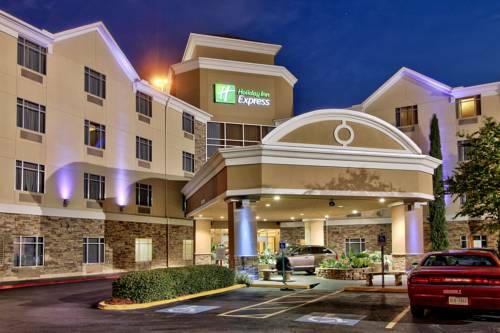 Whether you're in town for leisure, business or just a simple getaway, Holiday Inn Express Downtown Convention Center invites you! We are the only hotel in Downtown Houston who offers complementary parking for the first vehicle per room. A great Chinese and Vietnamese restaurant located just a couple of blocks away from the hotel that does offer delivery as well. The best steakhouse in town! Pasta, chicken parmasean, you'll think you've died and gone to Little Italy! Delicious chinese food and walking distance! A meeting room with plenty of space, high ceilings and a beautiful veiw of downtown for baby showers, receptions, business meetings and much more. Home of the Houston Rockets basketball team as well as a popular concert and event venue. Home of the Houston Texans football team. Venue also hosts the annual Houston Live Stock show and Rodeo. The largest mall in Houston and the forth largest mall in the U.S.A.
8 different museums all within minutes of each other. Largest medical center in the world, 21 hospital, 8 specialty institutions and 3 medical schools.